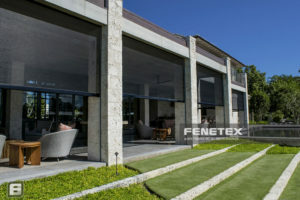 Today’s home and business owners are looking for useable outdoor places, but the challenges of nature create unique problems in designing the perfect space. 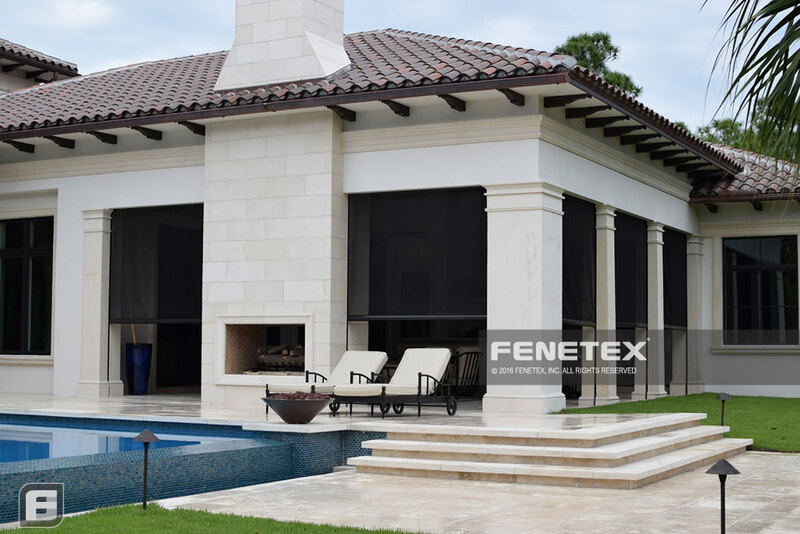 Protecting these areas from the threats of powerful storms in coastal areas, harmful UV rays, cold temperatures, wind and the annoyance caused by insects helps to realize the full potential of the structure, and creates long term value for your clients. 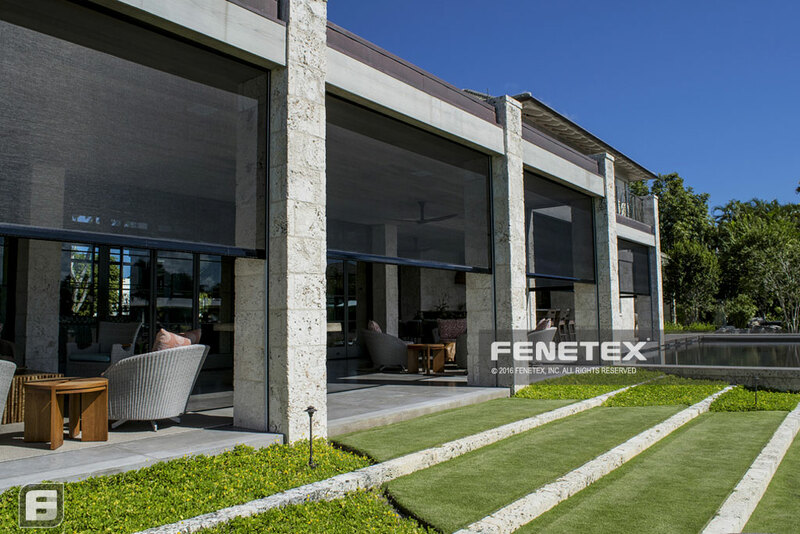 Check out our PDF Library for spec sheets and other technical information or feel free to contact us to discuss how Fenetex products can upgrade your next project with one of our experts. 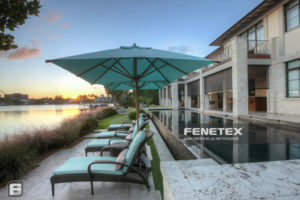 The trend in residential design is to create a great outdoor living area. 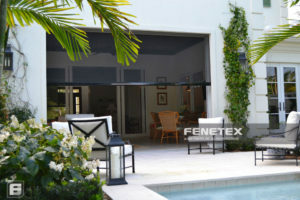 To make full use of this area, a retractable screen isn’t an option– it’s a necessity. 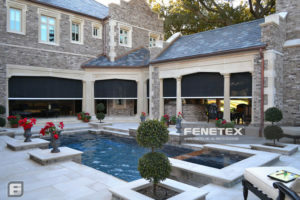 The designer has to consider multiple factors when specifying a screen system, particularly if it will be built in. 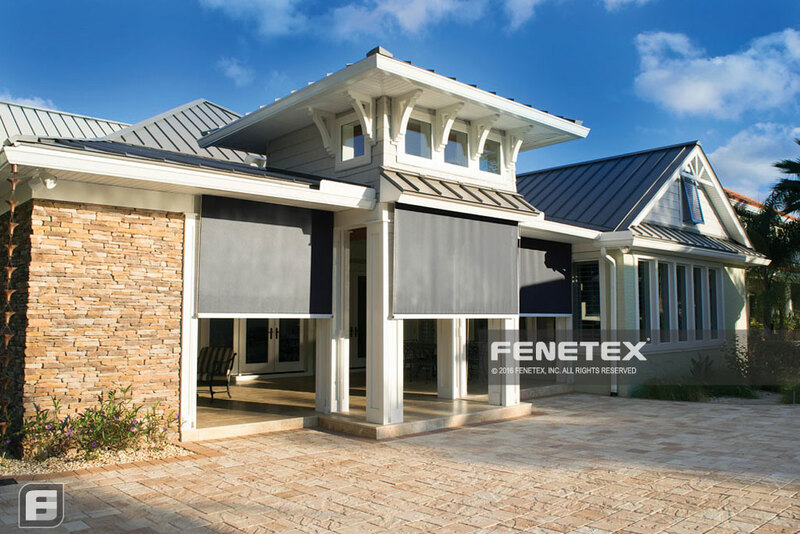 Fenetex simplifies this process by being uniquely capable of providing a retractable screen option for any contingency and providing the design support to make it a reality. 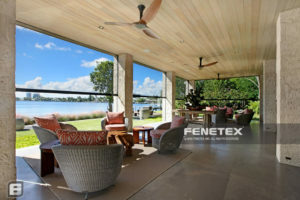 Most of our commercial work goes into the hospitality market. Whether it is a restaurant patio or a hotel event space, the goal for the customer remains the same: guest comfort. What makes Fenetex unique is that we brought an end retention screen system that can be deployed quickly and seals the weather out. 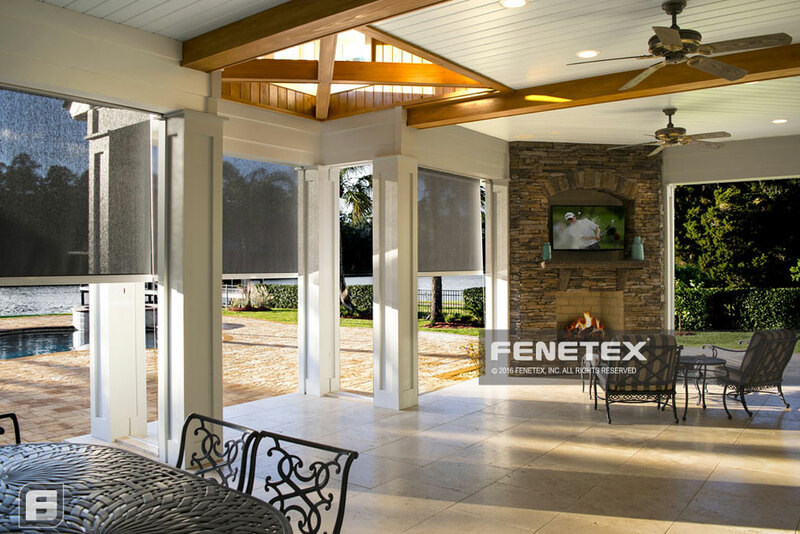 Customers can heat or cool the space behind a weather curtain and some opt for dual screens when that is the best solution for guest comfort requirements. At Fenetex, we take quality seriously. That’s why we have the most rigorously engineered screen products on the market today. Whether you’re an architect in need of CAD files or a contractor looking for installation instructions, we encourage you to browse our Technical Library.